Michael Anastassiades’ take on customisable lighting was a balancing act —literally. 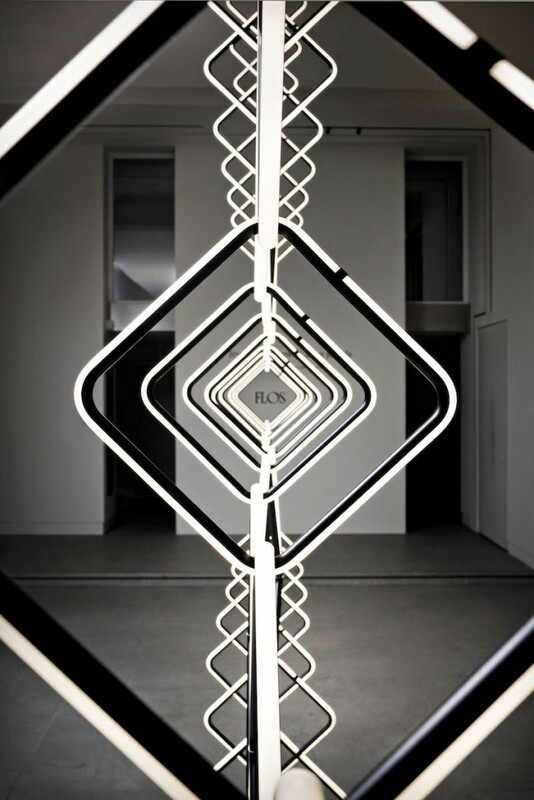 Arrangements, his modular system for Flos, features several types of geometric LED elements that can be linked together in a snap: when balanced on one another, the diamond, circle, line and drop-shaped pieces activate an electrical mechanism that creates a chain of light effect, with no need for expert technical assistance. 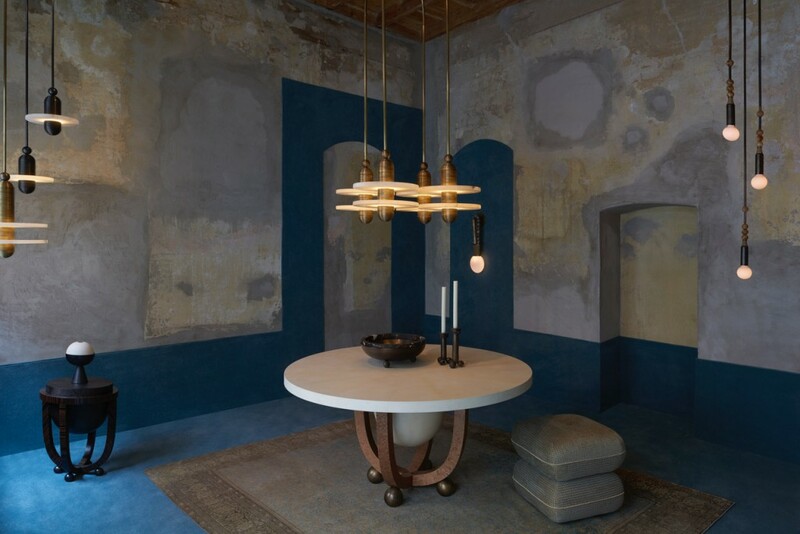 Several compositions were on display in Jewels after Jewels after Jewels, a large-scale installation at the brand’s showroom on Corso Monforte, where the Cypriot designer put together a set of elegantly sculptural pendants. Flos has extended that customisable spirit to their ordering process: their website now gives consumers the possibility to mix and match the pieces, playing with their sizes, order and total length. The configurator, which features an addictively gamified user-friendly interface, is called Make your Arrangements. 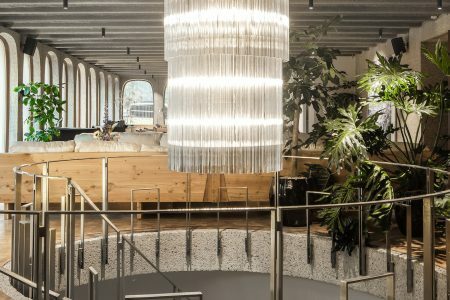 At Ventura Future’s Future Dome, London-based designer Samuel Wilkinson of BEEM bent new LED developments to his will: his SMILE and CURLI proposals turned soft-filament tech into a range of highly customisable light elements. SMILE comes in three shapes: a straight line, a U-shape and the namesake smile bit. 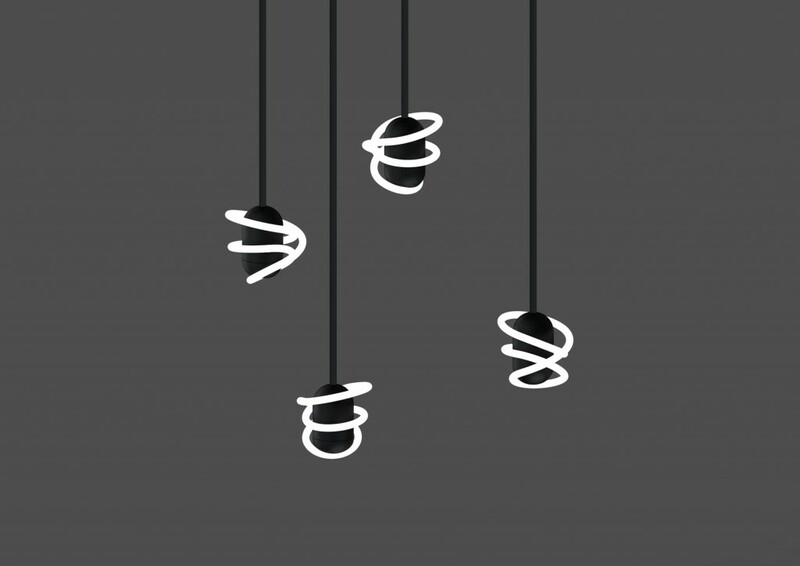 CURLI is a coil that twists around the bulb holder. 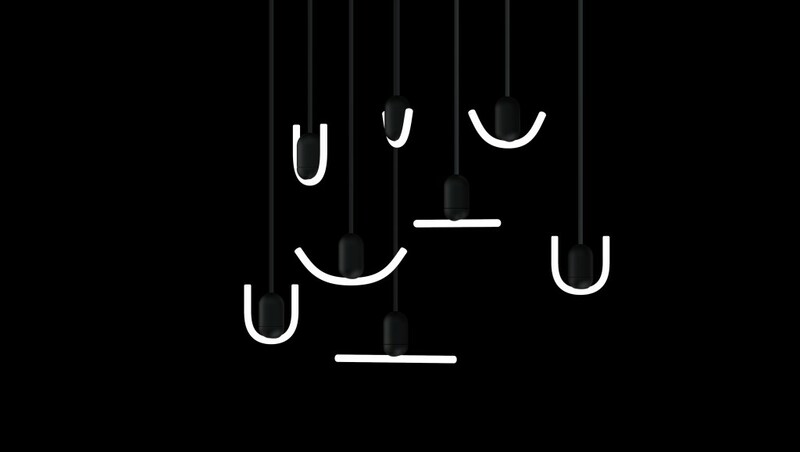 As visually attractive and sustainable as they are —that’s up to 30 years of warm light with low energy consumption—, the real innovation is almost invisible: BEEM has come up with a hidden rotating mechanism that allows users to adjust the position of each element without having to touch a single cable. For consumers, that means there’s the possibility of arranging the pieces into chandeliers with very little technical knowledge; for those with the actual technical knowledge, it was a moment to geek out —and even smile. APPARATUS creative director Gabriel Hendifar is a first-generation American, born in the country after his family left Iran during the Islamic Revolution. For that traumatic journey, his grandmother brought with her a box made using the Khatham marquetry technique, as a reminder of the beauty of a home that she would only be able to keep alive through food, music and storytelling. To Hendifar, the idealised Shiraz of his maamaan-bozorg is suspended in time. That gave him the inspiration to imagine what that timeline could have looked in the future. 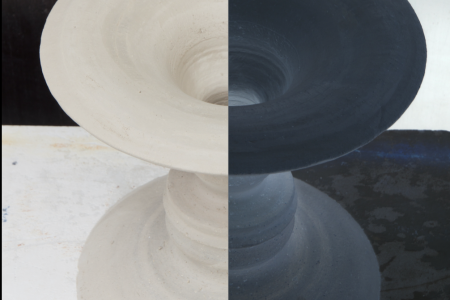 The resulting Persianfuturism outlook inspired ACT III, a new collection of objects that includes the Median lighting series. The translucent alabaster planes of the lamps are intersected by a fluted brass form, as a reference to both traditional Berber jewellery and steampunk aesthetics. The most beautiful touch in the piece, though, is the fact that the stone glows from a light source that remains hidden. 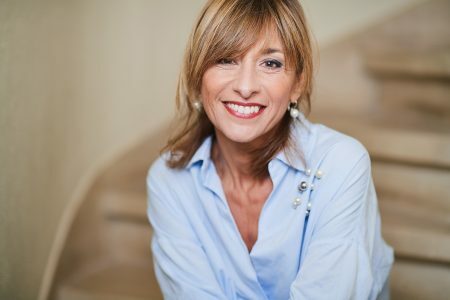 Considering the fact that APPARATUS will only be able to sell the Italy-made version of the objects —sanctions got kn the way of working directly with Khatam artisans—, the inclusion of a hidden light that nevertheless shines on is, without a doubt, the most bittersweet statement in the collection. Speaking of Flos and futurism, the company is reissuing Achille and Pier Giacomo Castiglioni’s 1962 Ventosa lamp, a portable unit that attaches to any smooth surface through a rubber suction cup. Calvi Brambilla turned the brand store on Corso Monforte into an homage to the younger sibling on what would have been his 100th birthday. For the Ventosa display, the team decided to present one of the ads that the designer conceived and art-directed. In it, a young man reminiscent of peak-Godard Jean-Pierre Léaud sticks the lamp to spots very much associated with the era: on a bottle of whisky, to the underside of a hanging rotary phone, to a mirror for better shaving and, in Castiglioni’s customary tongue-in-cheek style, on the man’s forehead like antennas for better reading. With this 2018 re-edition, one can’t help but imagine that if the master were alive, these ads would have probably featured a set of Ventosas stuck in a mirror for selfie-taking purposes, on someone’s forehead like antennas for better right-swiping or on the side a bottle of kombucha, to better visualise the nasty bits inside that, like a veritable contemporary placebo, make it taste even healthier. 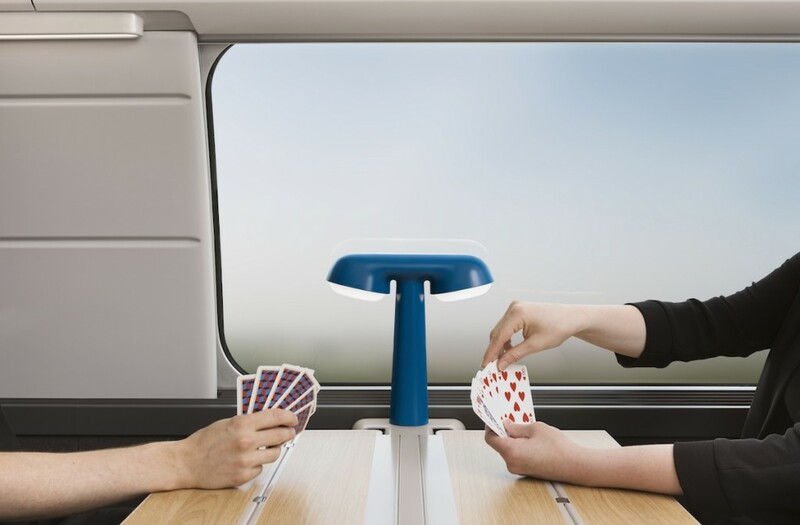 And here’s another productive collaboration: the SNCF, France’s train network, commissioned a traveller’s light from Moustache for their new high-speed trains. 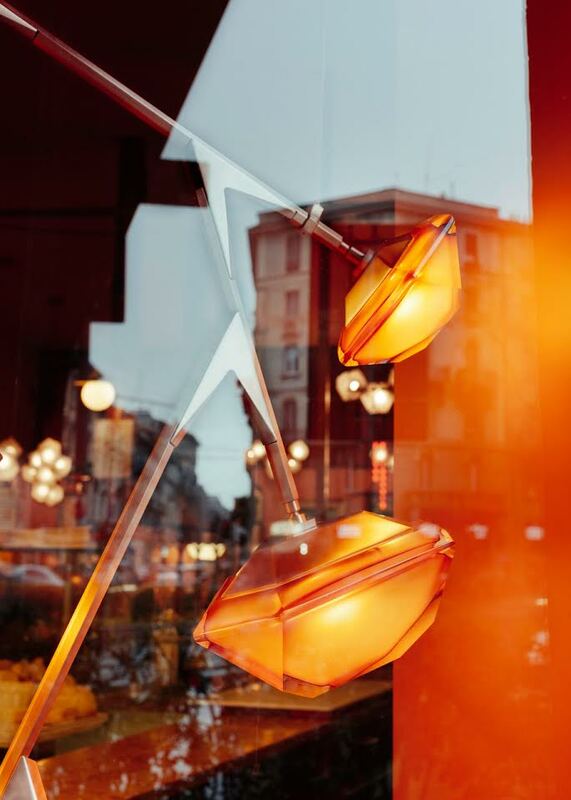 Thus, via designer Ionna Vautrin, the TGV lamp was born. The results were so positive that the two companies decided to take the unit, with its contoured lines and geometric rationality, into the home. The lamp itself is a delightful little thing of beauty, with a body in injected aluminium, diffusers in polycarbonate and two warm-white LED bulbs. 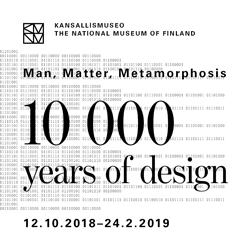 It’s almost as enthralling as the videos that Moustache created alongside director Michel Giesbrecht to promote them in their installation at Spazio Rossana Orlandi. 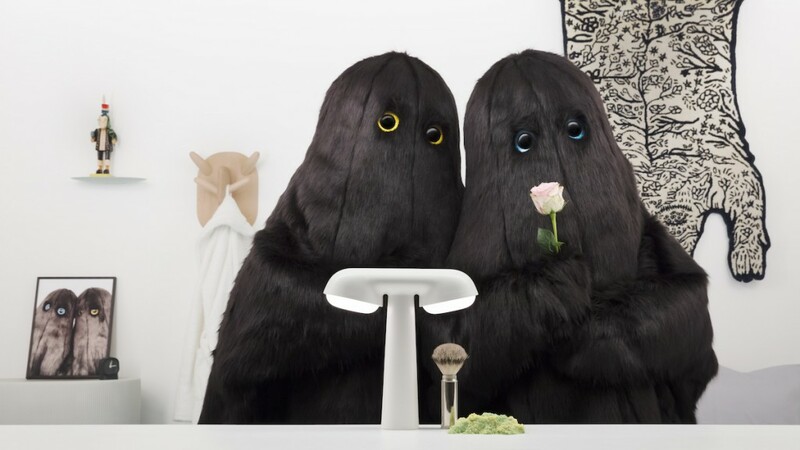 The hilariously entertaining pieces, full of visual gags, feature two hirsute characters —get it?— going from the train to the rest of their everyday lives, joined by the lamp, a few odd dishes of food and some adorable displays of affection. 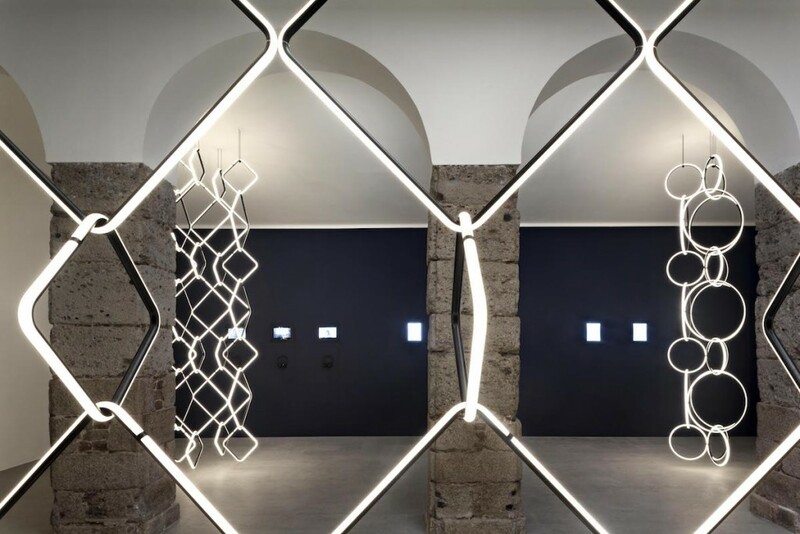 Midway between a light sculpture and an industrial design object, Arrangements is a modular system of geometric LED elements that can be combined in multiple compositions as single or even connected chandeliers. Gabriel Hendifar’s collection builds upon the overarching narrative of searching for connection to a place that no longer exists, with women in exile as the watchful keepers of a tribe’s disappearing cultural currency. 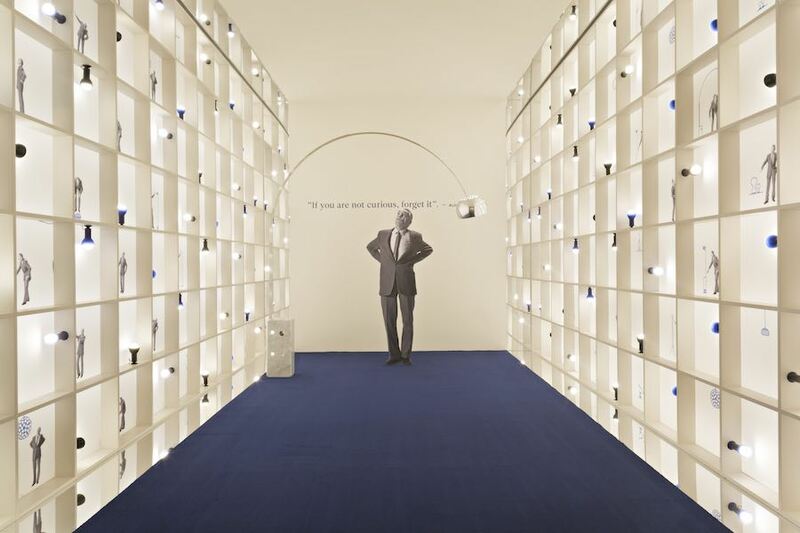 For this exhibition, Calvi Brambilla paid tribute to the master designer throughout the store. 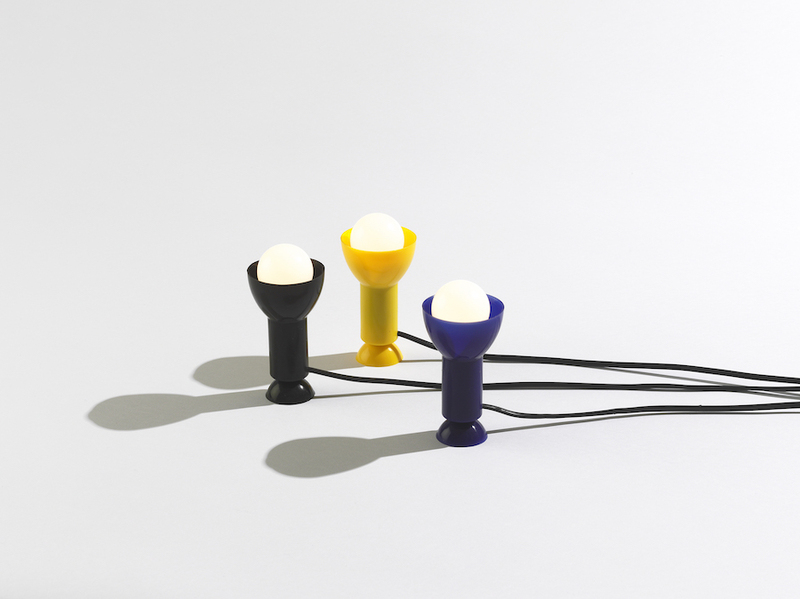 Along with the Ventosa lamp (pictured), the Italian brand is also re-releasing Castiglioni’s playful Nasa unit. Montreal design studio Gabriel Scott worked in tandem with Bar Basso owner Maurizio Stocchetto to develop an in-window jewel box lighting installation, in order to celebrate and pay homage to the iconic establishment. Moustache’s TGV lamp in its natural habitat, the SNCF’s high-speed trains. The unit comes in the original red and blue options, but also in khaki, white and anthracite. The two very hairy Moustaches in the endearingly entertaining promo video, directed by Michel Giesbrecht, take the TGV lamp home.